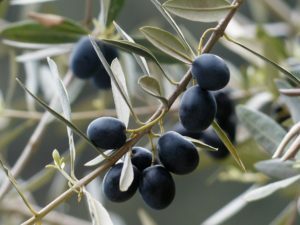 Fossil records indicate that olives were growing in the Mediterranean region at least as early as the Oligocene Epoch, which is a time period in Ancient Greekhistory. When human populations developed their first societies there, the olive became an all-purpose plant. Through centuries of plant husbandry, the Greeks have developed cultivation methods that have spread throughout the world. The olive tree now grows on continents where it never existed before. Greece went beyond simply cultivating olive trees. Athens had a ‘celebrity’ in an especially long-lived olive tree which, according to historical records, grew on the Acropolis. Theophrastus, a 4th Century B.C. historian well recognized by historians today, reported that this tree, the Tree of Athena, grew there. Centuries later other historians reported it was still growing there. Legend had it that when Athens was burned by Persian invaders, the tree burned with it, but then miraculously grew back. Because of this tree and other legends surrounding their history, Athens likes to lay claim to the original olive tree that became the source of all olive trees today. The olive tree being sacred to Athena, and being so hardy, no wonder it also became a symbol for victory. Other famous olive trees still stand throughout the region. They have been carbon dated and determined to be about 2,000 years old. One that was uprooted in an accident in 1975 was “Plato’s Olive Tree” in Athens. The Finix Olive in Crete is estimated by archeological evidence to be around at least 2,000 years old as well. On Malta, the olive trees dating back 2,000 years have been added to UNESCO’s National Cultural Heritage listings. 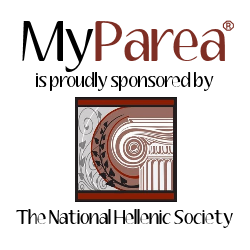 These individual trees represent essential eras of human history as they grew during the ancient Minoan and Greek civilizations, through the Roman Empire, and during the Medieval period. In our day cars now drive past these trees and people read about them on the internet. Ancient civilizations found multiple uses for the olive. Olive oil was applied to skin and hair. The oil was used in lamps for light and for cooking. Olive branches woven into a crown were a symbol of victory. The wood is particularly strong and olive wood items lasts a long time. Most cultures that developed around the Mediterranean regarded the olive as a sacred symbol. It figures in some of the most ancient sacred and literary pieces of the world. Today many people have rediscovered olives and olive oil as a healthy alternative to other foods. The long-lasting impact of the olive continues today. For more information, please watch this episode of My Greek Table.